In Warsaw, I visited a tiny museum that was a former Gestapo headquarters. There, surrounded by realistic sound effects (bombing and people screaming in pain), I toured the interrogation cells and learned about the atrocities committed by the Nazis when they occupied Warsaw. Prisoners were forbidden from eating or sleeping and had to sit quietly in the dark; bullet marks on the walls tell the story of what happened to those who didn’t obey. It’s a somber and harrowing story but gave me insight into Warsaw’s strength. Looking back on the places I’ve visited has made me realize that many of them can be considered "dark"—a former Gestapo prison, concentration camps, museums dedicated to WWII uprisings, and historical monuments that are essentially tombs. I wouldn’t call myself a dark tourist, though. I visit places to learn about history, which more often than not is tinged with violence, war, and death. Instead, I consider myself an emotional tourist seeking out places that help me understand and face my fears. Blessed with an overactive imagination, kept alive by a steady stream of horror, sci-fi and dystopian books, I associate darkness with Stephen King-like figures ready to prey on unsuspecting humans. My fear of the dark is surpassed by the intense fear of my own mortality. In order to help me confront my mortality, I seek out places that are associated with darkness—places like a nuclear fallout shelter, for example. 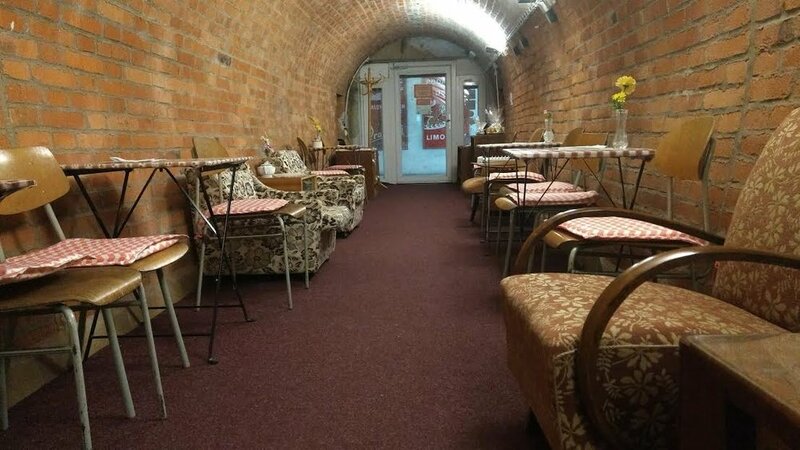 The 10 Z Bunker in Brno was originally built as a civil defense shelter by the Nazis during WWII before being converted into a nuclear shelter in 1959. The Cold War remnant was expectedly chilling. 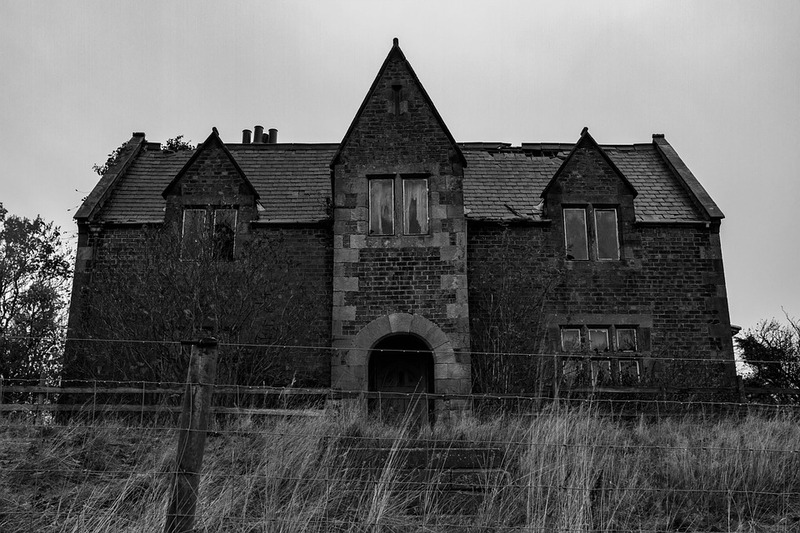 It made the perfect setting for a horror film or a macabre treasure hunt—follow the gas masks, use the discarded lavatories as directions, find clues on rusty typewriters and get out of the labyrinth of tunnels. In 2016, the shelter was converted into a hotel and museum. I spent a night there and had difficulty sleeping, with my insomnia and fear of the dark doing a happy tango. The darkness here, minus any natural light, was absolute, the kind that presses against your eyes. The deathly silence was broken only by the creak of the bed stand rustling of flimsy sleeping bags, which echoed through the empty passageways. Lying awake made me think about what would happen in case of a nuclear war. With every country out to showcase their might, this is a grim possibility. Mumbai, where I live, is ill-prepared for such a scenario. I fell into an uneasy sleep thinking about worst case scenarios. The next day, being out in natural light inspired me to go look another fear in the face. I found death staring at me when I confronted the bones and skulls of 50,000 people in an underground crypt near Brno’s Church of St James. It’s an unforgettable sight, bones packed Jenga-style and in different patterns, leering out from every corner. These poor souls were victims of the medieval plague and cholera epidemics, their bones and stories forever confined to the walls of the crypt. At my old office, we once played a morbid game in which we imagined how the world would end. It was a way of challenging ourselves to think out of the box. The winner was a friend who suggested the human race would be eradicated by a virus that causes you to eat your own flesh. None of us thought of a nuclear blast, the plague, or for that matter, genocide. In India, our history textbooks do not go into details about the Holocaust; I learned more from Anne Frank’s diary than from my history teacher. However, I got a firsthand view of German concentration camps when I visited Auschwitz I and Auschwitz II-Birkenau. The depth of the devastation sunk in after seeing the prisons and glass displays containing hair collected from the dead, personal articles, and photos of emaciated prisoners. Ethnic cleansing and religious persecution still exist, even in my own backyard. The world is not far from a possible nuclear war and a dystopian future. All these ‘dark’ sites I visit are reminders of the mistakes of mankind, and they put into stark perspective how we sadly haven’t learned from history. Joanna Lobo is a freelance writer and journalist based in Mumbai, India. A firm believer in the power of feminism, she wears her love for dogs on her sleeve and actively seeks out cheap eating haunts, and weird and wondrous places when traveling. Her work can be found in some reputed Indian publications, and she is looking at taking her writing to an international market. There are many stories inside her head but she is too lazy to churn them into a book. She can be found feeding her addiction for social media on Twitter and Instagram as @thatdoggonelady.